I got the new V with everyones least favorite model Laura Hollins. She will always have a spot in my heart, though. I can't help it, just imagining her collecting dust on the Chapters book shelf or being taken home with a 12 year old girl who thinks she is the most iconic model ever. She deserves a better fate. Also in an article in the magazine they say "Agyness Deyn, born Laura Hillins" which I was a fan of. 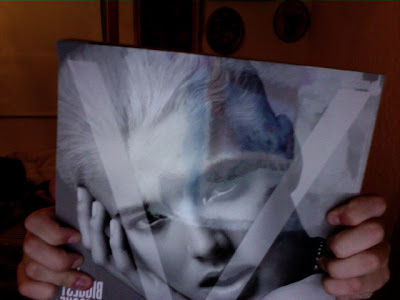 i went to mcnally robinson to buy the new V amagzine, but the only one they had was agyness. ugh.